On 17th March 2014, the Harvard-Smithsonian Center for Astrophysics announced that the BICEP2 facility at the South Pole discovered this compelling evidence for quantized gravity and cosmic inflation. 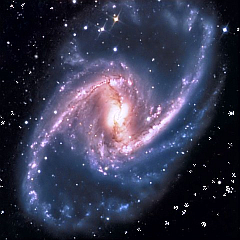 They used microwave telescopes, which enabled sensitive measurements of the cosmic microwave background (CMB), since the air is most like space, thin and dry, at the pole. Working with the light of the CMB, it was found to be polarized and thus scattered by atomic particles. Gravitational waves squeeze space and create distinctive patterns and thus when looking for this signature in the cosmic wave background, a twist in the light was found. This twist is considered to be a ripple in space-time and a sign that the expansion took place faster than the speed of light. “This work offers new insights into some of our most basic questions: Why do we exist? 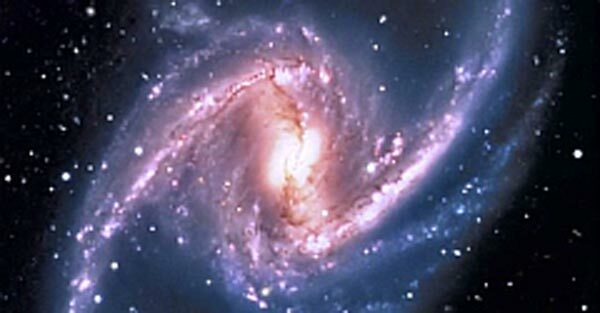 How did the universe begin? These results are not only a smoking gun for inflation, they also tell us when inflation took place and how powerful the process was,” asserts Harvard theorist, Avi Loeb. Inflation is important because it solves two problems: 1) why is the universe fairly homogenous, that is almost in perfect thermal equilibrium and 2) why is it more flat than curved. Inflation tells that that this is because all the regions, in the earliest period of time, were together and associated with the cosmological constant, and the only significant inhomogeneities are the tiny quantum fluctuations in the inflaton (the particle behind inflation). This is exactly what we are seeing today and what is confirmed not only by inflation but also spoken of in the first verses of the first key of The Book of Knowledge: Keys of Enoch® that speaks of our being part of an “open-ended universe”. The second verse continues: “Being part of an open-ended universe, we are part of an open-ended mind; being part of an open-ended mind, we are part of an open-ended universal image”.